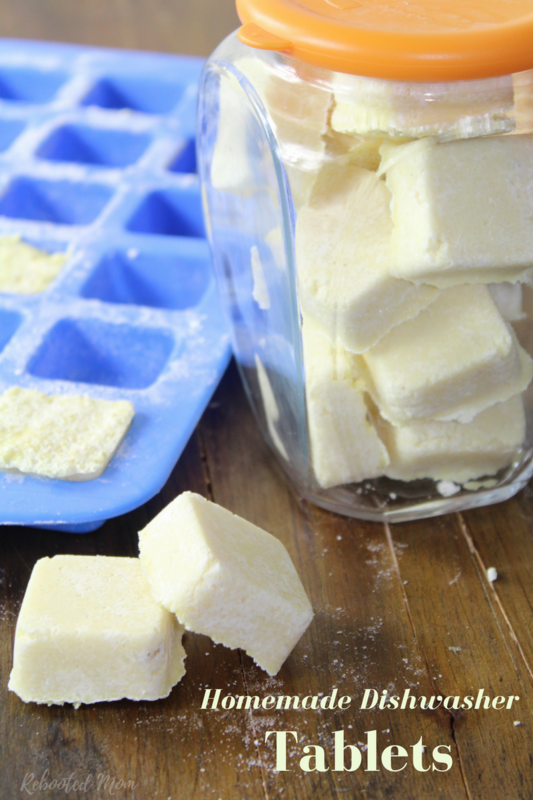 Save money by making your own homemade dishwasher tablets. 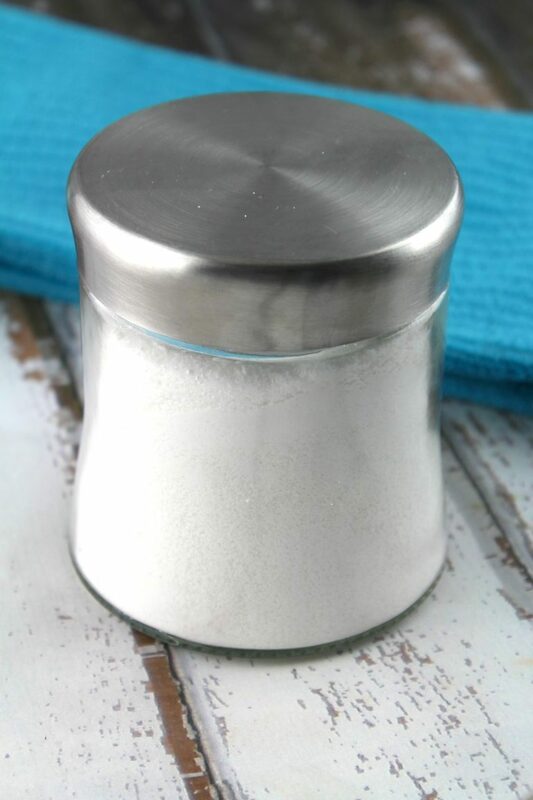 Here’s a simple recipe, without borax, that works incredibly well. Over the last several years, we have been making our own beauty and personal care products – we have also been making our home household cleaners with essential oils. My goal to making these dishwasher tablets was to avoid having to go to the store. Having to take all of the kids to get stuff isn’t the most exciting experience. Over the last six months, I tried to make dishwasher tablets over a half dozen times and failed miserably. Talk about a HUGE challenge. I googled a million homemade dishwasher tab recipes, and tried over and over, without any success. Talk about complete frustration – some of those recipes were totally horrible! I was starting to wonder if it was just me… or if the recipes shared online were just ineffective to start with. One thing I noticed while perusing through recipes is that some people use borax and some people don’t. It seems to be an ever going debate. After trying a series of recipes, I modified what worked and eliminated what didn’t, and came up with my own recipe. This recipe does not include borax. In all honesty, I don’t mind including Borax. But I was looking for something that didn’t have borax because I didn’t have any at home. I also wanted something that would incorporate my essential oils. I let these dry over the course of a weekend, and then I used them several times for some heavy wash loads that I had. They worked. My dishes were clean. Over the next week, I used them over and over numerous times. I felt incredibly successful – who ever thought a few simple ingredients could replace the traditional dish tabs we had been been buying for so very long? One thing to remember when it comes to homemade dishwasher tabs is that rinsing your dishes is essential. If your kids are loading the dishwasher, it’s imperative that they scrape and rinse as much off as possible. Combine your washing soda, epsom salt and baking soda along with the lemon juice and essential oils and mix until combined. Avoid using a plastic bowl since you are using citrus essential oil. 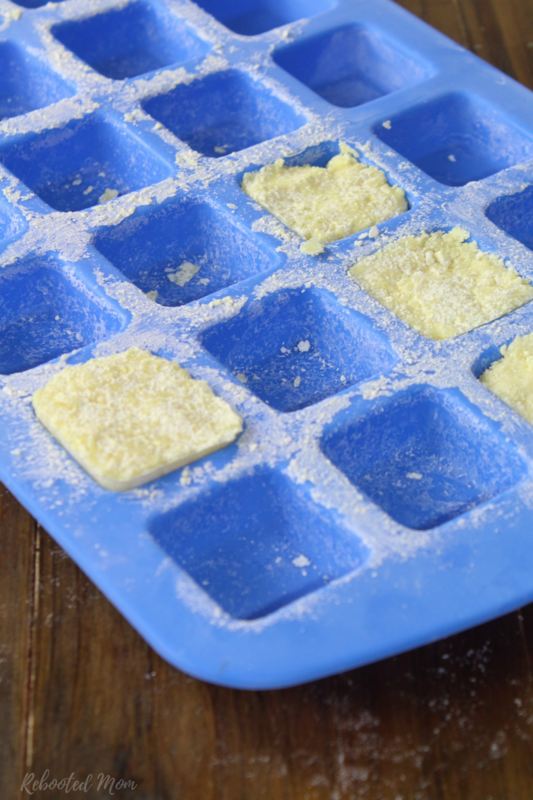 Press the mixture into ice cube trays or, use the Wilton Square Mold – making sure you push completely down to form the squares properly. Allow to dry overnight preferably (or, up to 24 hours), before popping them out and storing them in a tight, sealed container. Add a tablet in your dishwasher tray upon washing a load. *Tip: it helps to add a little distilled water or vinegar to the compartment that you would add Jet Dry to ensure that you soften your water a bit (it’ll prevent spots and streaks on the glasses). If you like this DIY, you might also want to try this easy DIY. It’s super handy for those times when you don’t want to push a mixture into molds. 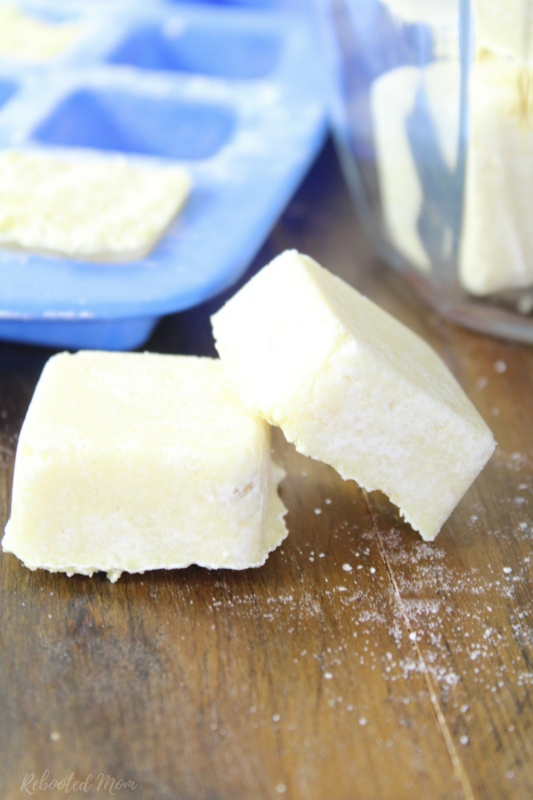 Share the post "Homemade Dishwasher Tablets (without Borax)"